No matter how old we get, we never seem to outgrow the joy of playing. 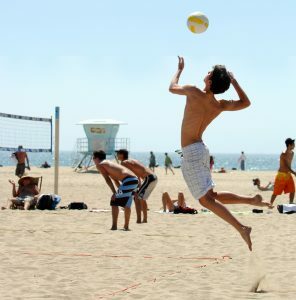 Whether it’s a pick-up game of volleyball at the beach or playing a game of Monopoly—people just love to play games. At The Academy, we know the power of play, and we use it every day with our young students. An abundance of educational research has been done on “play” and its effect on early childhood learning. The research shows a strong connection between creative play and the development of language, and physical, cognitive, and social skills. As a parent, you can foster your child’s development and learning by playing with them. Making silly putty is an activity that’s fun for just about any age. We encourage you to try it at home. Paper towels – just in case! In a bowl mix 1 oz. glue and ¼ cup water. Add food coloring to the glue and water mixture. Add ¼ cup of the Borax Solution you have already made to the glue and water mixture and stir slowly. The putty will begin to form immediately. Stir as much as you can, then dig in and knead it with your hands until it gets less sticky. If there is any leftover water in the bowl, just pour it out. Mix in larger batches for more fun. Encourage kids to be creative with their putty. They can roll it into a ball, bounce it, play a hide-and-seek game with it, throw it to each other, make impressions in it, stretch it, make snapping noises with it, and who knows what else! Click here to learn more about our curriculum at The Academy, and visit our individual blog pages to find out about all the interesting activities that go on at our different locations.